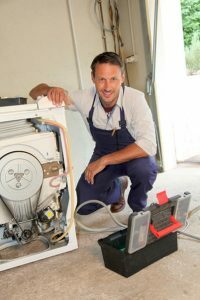 Fast Appliance Repair in Sydney | Get Your Appliances Fixed Today! House appliances are important in ensuring you get utmost convenience from your house. From the dishwasher, fridge, oven to a washing machine, these home appliances can do a lot for you. The work that these devices do for us is often ignored till they malfunction. Of course, when you do not have a working fridge, your food will go bad, and the ice you enjoy will melt. When the oven is harmed, you cannot bake your favourite cake. Without a dishwasher, dishes will stack all over the kitchen, producing an ideal breeding place for pests and rodents. Not to forget a faulty washing machine can force you to do laundry manually, and the tiredness that comes with it will be memorable. Instead of dealing with appliances or calling quacks who can trigger more damage to them, call us today. We are the most professional and reliable appliance repair professional in the neighbourhood. We do not desire you to do the dishes by hand or have filthy dishes in every corner of your kitchen. We have the spare parts and tools to fix dishwashers from different brands. In case you get into your home past working hours and realize that your appliance has malfunctioned, don’t hesitate to call us. We will send out an emergency service technician to help you out. 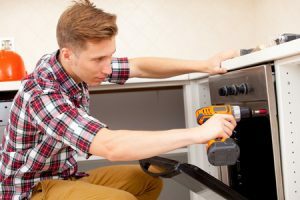 Having repaired thousands of ovens over the years, we have been in business; we know that no problem is too tough to repair. For that reason, don’t rush to replace your oven before you give us a call. We will utilize our modern tools to identify the problem, and fix the appliance within a couple of hours. If your fridge breakdowns, it suggests that you may soon go hungry because the foods in it will spoil. We, therefore, endeavour to offer the same day service when you call. What makes us an ideal choice is that we can repair all major fridge brands found in the contemporary market. This is one of our favourite services, not because we do it much better than others, but because we inform our customers on how to increase the lifespan of their appliances. We believe that the house owner can avoid washing machine problems, and we shall provide you with beneficial pointers on ways to take care of your appliance. We are not one of those appliance companies that focus on particular brands. We know that our customers are different, and we do what we can to welcome this diversity. We have spare parts for all the major brands available in the market. If we find out that we do not have yours in our storage facility, we will purchase it on your behalf, and repair your appliance within the shortest time possible. We know that you need all your home appliances functional for optimum convenience. For this reason, we are committed to providing the same day service. 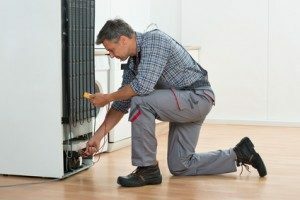 We utilize the latest innovation to detect problems with your appliance, and when found, our extremely proficient professionals will provide you with a series of options to select from. We stress quality, and this is why all our items bear the mark of quality. Furthermore, we supply our clients with the manufacturer’s warranty on every product we utilize. This makes it easier for you to claim a new item in case it breakdowns at no extra cost. House appliances utilize electrical power; thus you need to look for repair services from an insured repair specialist. We have insurance coverages that cover our service technicians, your home, yourself, and everybody else in your household in case of an accident during the service. We have offices in your local area. Therefore, when your appliances develop issues that need instant attention, we will respond quickly to offer solutions. Give flexible appointment time that matches your schedule. For the very best appliance repair services, work with the very best appliance repair service provider. We will receive you with open arms.